A spirit of hope and change hovered over the S.H.A.P.E. Community Center in Houston’s historic Third Ward community Thursday, November 15th, as dozens of engaged parents, educators, elected officials and community members were on hand at the Black Parents’ Town Hall Meeting on Educational Excellence, where a lively discussion about the state of education for Black children in the Greater Houston area took place. 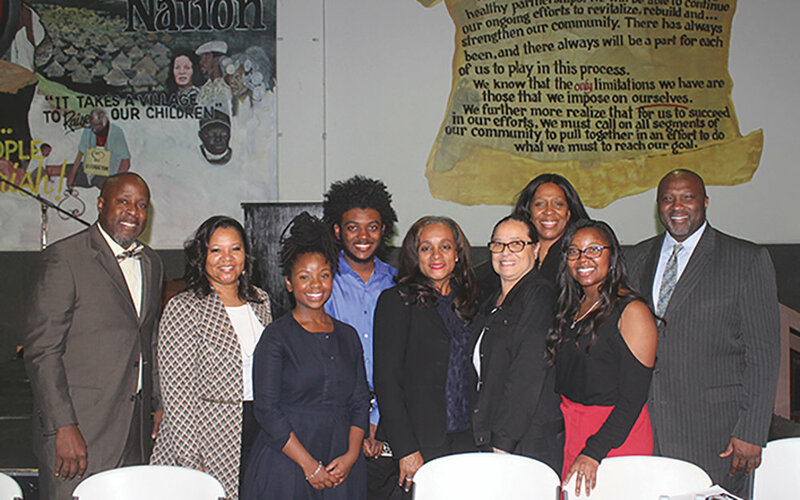 The event was made possible by the Bill and Melinda Gates Foundation, who partnered with the National Newspaper Publishers Association (NNPA) to create a three-year, multi-media public awareness campaign focusing on the unique opportunities and challenges of The Every Student Succeeds Act (ESSA). 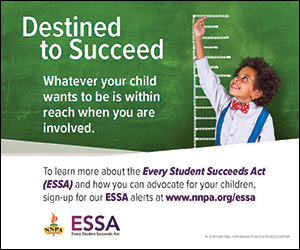 ESSA, which reauthorized the Elementary and Secondary School Act (ESEA) and replaced No Child Left Behind, received bipartisan support and was signed into law by President Barack Obama on December 10, 2015. The regulations are administered by the U.S. Department of Education and went into effect on January 30, 2017. Dr. Elizabeth V. Primas, who serves as the program manager for the NNPA ESSA Public Awareness Campaign and is a life-long educator, was on hand to welcome attendees and talk about ESSA being a tool to help increase the effectiveness of public education in every state, including Texas. Lynette Monroe, who is the program assistant for the NNPA ESSA Public Awareness Campaign, served as the event moderator. The panelists were asked questions regarding several topics, including how the Texas Education Agency funding structure promotes or inhibits equitable school funding, their views on standardized testing overall and specifically African American student performance, effective ways to communicate and foster engagement with African American family members, how to increase community engagement, and things the Texas Education Agency or other entities can do to better prioritize the needs of students who receive special education services. Monica was one of the five panelists, along with her daughter Chirelle Riley, who participated in this powerful panel discussion, which also included Houston Independent School District (HISD) Board President Rhonda Skillern-Jones, educator Larry McKinzie, and Texas Southern University (TSU) student and Forward Times intern Treyvon Waddy. Monica, who is the mother of seven girls and a product of the public school system, talked about the passion she developed about education, particularly after having to make tough choices about her children’s educational future. After sending her children to public school, private school and even choosing to home-school them, Monica became an educational advocate in order to tackle the issues she saw that were not being addressed by the school administrators tasked with addressing those issues. Chirelle, who is an 18-year-old sophomore at Houston Community College, spoke about her educational experience from a millenials perspective and emphasized the need for school leaders to ensure students are being taught information that can benefit them beyond simply taking a test. Skillern-Jones spoke about her own experiences dealing with the educational choices for her kids, which is what drove her to run for public office and become a school board trustee and seek to bring about change from within. Skillern-Jones stated that the elected decision makers at the state level have made things difficult for school districts to solve many of the problems African American children face. She remained optimistic, however, that community engagement could change the current state of the educational system in Texas. McKinzie, who is a 24-year-educator, parent of two public school students and a community activist, states that parents must talk to all elected officials and administrators and be an activist for their children. 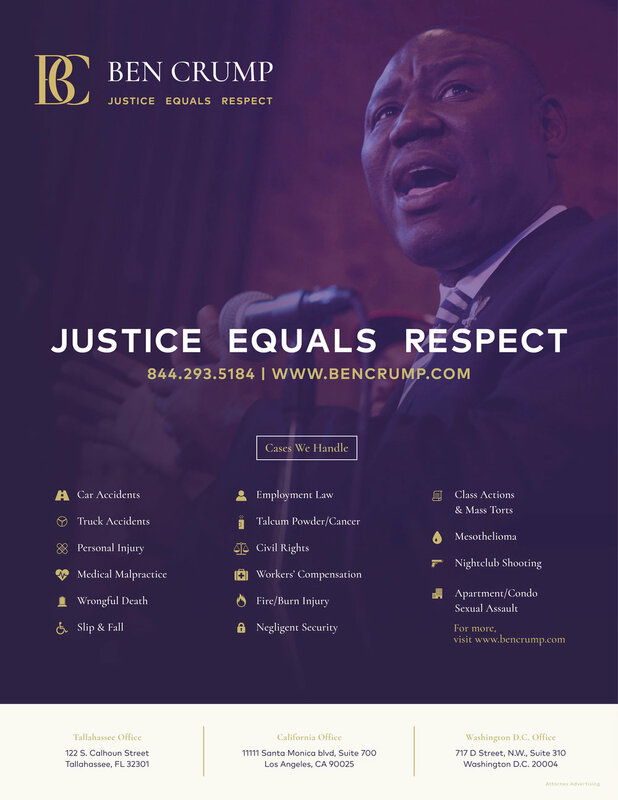 He believes that the charter schools, which are only located in Black and Brown communities, take away the necessary resources from the public schools in those same communities which disparately impacts those schools. This regional town hall meeting was a follow-up to the National Town Hall which took place on June 26th at the Gethsemane Community Fellowship Church in Norfolk, VA, which was a part of the NNPA’s Annual Conference. This regional town hall meeting was one of several that are taking place across the country, with the focus being on encouraging parents to get involved and stay engaged in their child’s education.